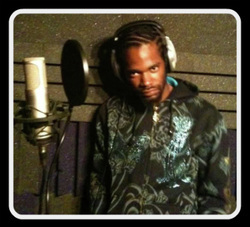 As a self proclaimed rap artist CYRUS DA VIRUS has a career that began in the mid 90's and is still now going strong. During this time he has made a significant mark in the ever growing underground U.K Hip Hop scene. Cyrus DA Virus has a raw London influence, is very original and his music is of a positive nature. Cyrus appeals to a generation like no one can, with his unique sound Cyrus combines London street slang with underground hip hop beat’s and enchanting harmony’s.